If you play metal you need a guitar that gets the sound you want and performs to your high standards. Some guitar brands are better at building such instruments than others, and certain gear companies have excelled at pleasing the metal crowd over the years. Some guitar makers are so deeply associated with heavy metal that it’s hard to imagine guitarists using their instruments for any other purpose. In this article you’ll read about the top ten guitar brands for heavy metal. These are names that have proven themselves on the metal battlefield over the years, and they’re well respected in the heavy rock community. Some brands may be more appropriate for certain subgenres within the metal umbrella, but they’re all built for serious sound and performance. So, these are the top brands according to whom? According to me! I’ve been a metal guitarist for over 30 years. I have experience with all of these brands, and relied on many of them during my time in bands. This is all based on my opinions, and you may agree or disagree. But I want to know what you think too! 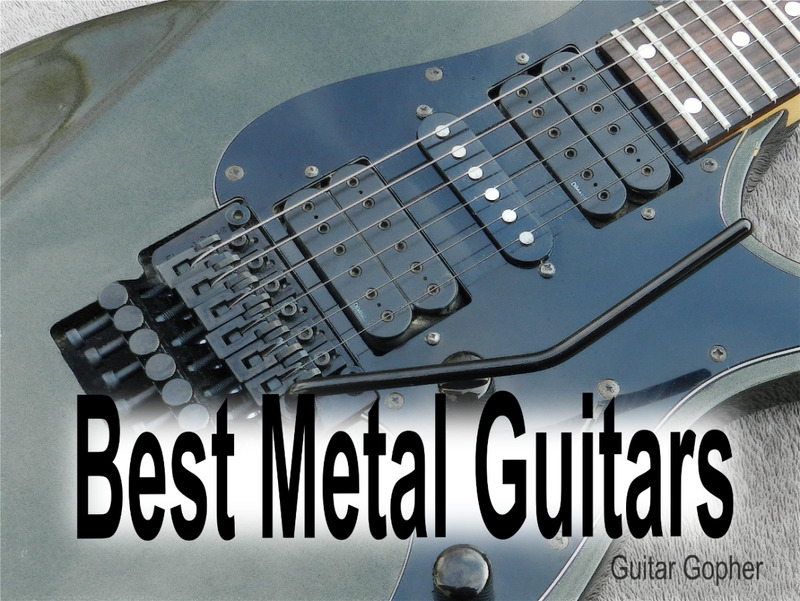 At the end of this post you’ll have the chance to vote on which guitar brands you think are the best in the metal category. If I get enough votes for one brand over the others, I just might have to edit my post to reflect the public’s opinion! Let’s look at some metal guitars! To me, there is no better sound in the world than a detuned Les Paul through a high-gain amp. Many guitars mimic the Les Paul design and tonewood profile, but nothing else has the guttural roar along with the perfect high-end details and articulation. Gibson’s combination of a thick mahogany body, mahogany neck and solid maple cap is unmatched. Gibson guitars like the SG, Flying V and Explorer all incorporate mahogany bodies and necks as well, and they too are excellent metal guitars. 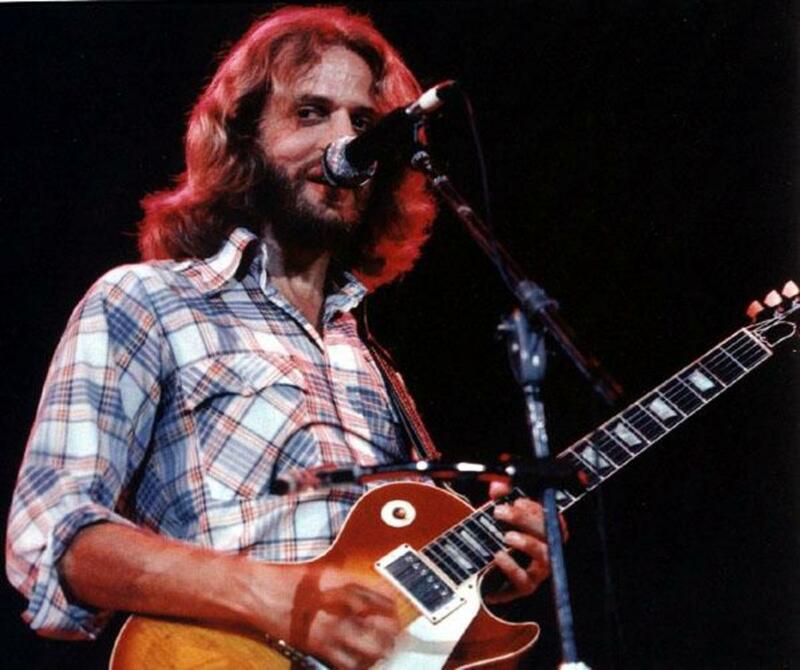 Gibson’s impressive stable of instruments put them high up on my list, and the Les Paul puts them over the top. 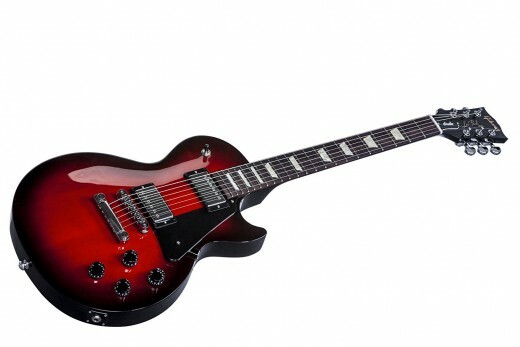 The Les Paul Studio is a bare-bones guitar capable of some dark, rich metal tone. For a long time Jackson has set many of the benchmarks in the metal guitar world. In fact, there was a time when if you played in a metal band and didn’t play a Jackson it meant you were probably intellectually confused in a significant way. Today, Jackson has a lot of competition, but they are still among the best of the best. The Rhoads, the Soloist, the Dinky, the Kelly and the King V are stalwarts in the extreme guitar world, and their shapes are unmistakable. Also like Ibanez, Jackson has made efforts to expand and improve their designs to appeal to more modern players. Though the years Jackson has weathered the storms and continued to stand out as one of the most iconic metal brands in the world. There are legions of musicians who swear by them, and will play nothing else. So, who gets the #1 spot then? If this were a list of the Top 10 Shred Guitar Brands Charvel would be a lot higher than number seven. In fact, they might be number one. This is a guitar company that was huge back in the ‘80s, then vanished for a while, and now they’re back with a vengeance. The Charvel Pro Mod San Dimas and So Cal-style guitars are among my favorite guitars in the world. They’re essentially hot-rodded Strats, with all the bells and whistles you need to shred your brains out. If you’re into more modern metal designs, Charvel has that too. Their Desolation Series incorporates modern metal style and appointments that ought to keep extreme metal guitarists busy. The Star is another of my favorite Charvel designs. It’s retro metal in a way, but still has an edge that’s impressive today. At number three on the list we have Ibanez, and it’s safe to say we’ve now entered the heavyweight division. Ibanez stands at the forefront of the metal guitar world, and they have for decades. If you were to make an argument that they deserve the number-one spot on this list, you wouldn’t be wrong. But everyone can’t be number one, so here they sit with two guitar brands ahead of them. This is kind of like when the fastest runner in an Olympic event is only a few hundredths of second better than the next fastest. Ibanez guitars in the RG and S Series are about as good as it gets when it comes to shred and heavy rock. They are the trendsetters in the 7-string market, and their new Iron Label instruments are mind blowing. Of course there are classics like the Destroyer and Iceman designs. When it comes to extreme guitar, who in the world is better than Ibanez? Back in the early 1990s ESP guitars were popping up in the hands of metal guitar players around the world, or at least the famous ones. It seemed all the top players in my favorite bands were ditching their Gibsons, Jacksons and Fenders and ending up with ESP guitars that looked pretty similar. So, how could I get one of those? I couldn’t. Well, not with the money I was making, anyway. These were high-end custom guitars, made for the big stars. ESP was not a brand easily accessible to most players. Then, a few years later, came ESP LTD. This was an offshoot of the ESP brand that made some of their classic designs and new ideas affordable for the average player. Awesome! Today, ESP-LTD is among the top brands for heavy metal, and most of their guitars like the EC Series are within reach of the typical working musician. In fact, in my opinion the EC-1000 is one of the top alternatives to the Gibson Les Paul for metal players. Truthfully, I feel a little uneasy putting Schecter ahead of B.C. Rich. I’m slightly concerned that the Metal Gods may reach down and slap me senseless, but I stand by my decision. That’s because I really feel that Schecter is going to be one of the most important guitar companies of the future, especially when it comes to heavy music. Models like the Hellraiser, Blackjack and Damien have proven themselves as modern classics, and Schecter’s attention to detail and innovation is always impressive. 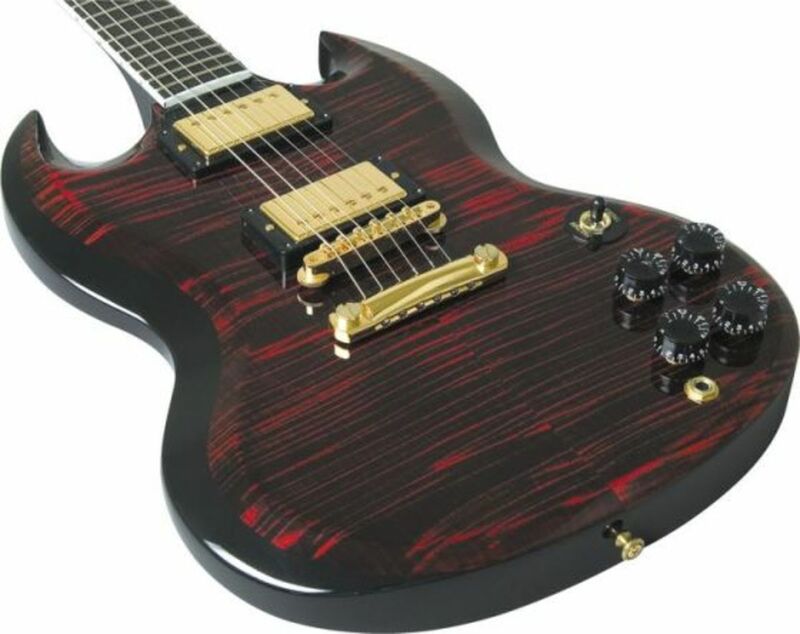 Schecter guitars are well-made, and incorporate some great choices in pickups and hardware from third-party suppliers. 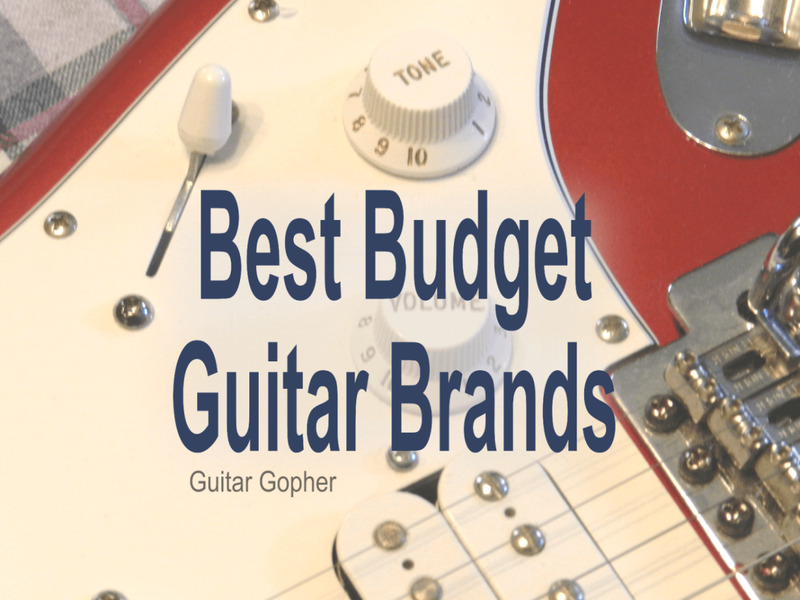 None of the guitar makers discussed in this post are going anywhere any time soon, and in my opinion Schecter still has a long way to go to unseat the brands listed ahead of them on this list. 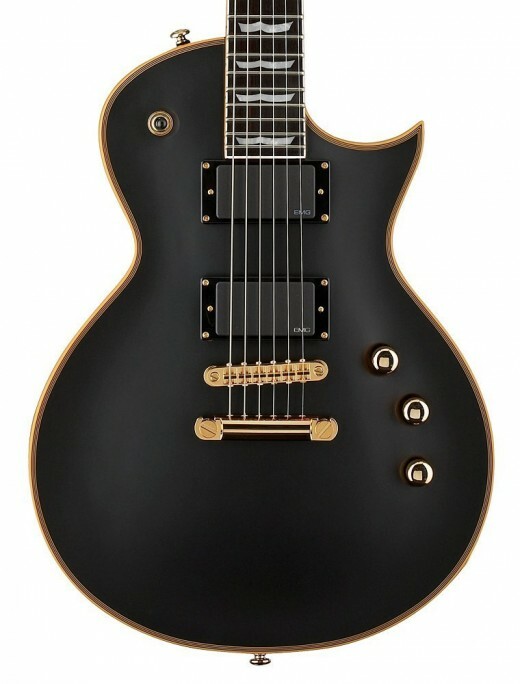 But it is obvious that Schecter intends to make its mark in the world of extreme guitar, and they are well on their way. As we reach number 5 on this list, things are starting to get a little tenuous. This is the territory where the debates really heat up, and sometimes people end up typing things in comments sections that aren’t very nice. Just promise you’ll leave my mother out of it, okay? B.C. Rich is a guitar company that stirs up that kind of emotion. They have a legacy rooted in metal, and for decades some of the best, heaviest and meanest guitarists have carried B.C. Rich into battle. This is company that does little else besides make awesome metal guitars, and they do it well. For proof that B.C. Rich deserves their legendary status check out models like the Warlock, Mockingbird, Bich and Virgin. These are instruments that have stood the test of time and continue on as some of the finest instruments of mayhem. I love Fender Stratocasters, and if you are into old-school metal they can get you the sound you’re looking for. However, there is good reason Fender occupies the lowest position on this top-10 list. A stock Fender guitar with single-coil pickups usually won’t get it done for you if you play extreme metal. Even if you choose a model with a humbucker in the bridge you may want to upgrade to a hotter pickup to find the sounds you’re after. Add a Floyd Rose bridge and your Strat becomes a serious heavy rock machine, but out-of-the-box Fender guitars need a little help. Modified Strats and Teles have both been used successfully in metal over the years, but they are really more rock-oriented guitars. For that reason, I think there are much better options for out there than Fender. A few decades ago Washburn was near the top of the heap when it came to guitars for metal and hard rock. Their influence has faded over the years, but they are on the comeback with some solid entries that will please metalheads. You’ll find some of their most impressive instruments in the Nuno Series. Nuno Bettencourt is the lead guitarist of the hard rock band Extreme, and a pretty darned amazing musician. His signature line consists of American-made masterpieces like the N4, and more affordable instruments like the N2. They all have a slick, smaller-bodied design with a natural finish, powerful pickups and Floyd Rose bridge. Washburn has some other cool designs like their Parallaxe series, which are built for serious metal and shred. Though they are a dark horse in this review, you should certainly check out Washburn if you are into metal. Dean gets the #8 spot of my Top 10 List. Thumbing through their lineup it is easy to see they are a guitar brand that really puts some effort into impressing the metal crowd. Whether you are into extreme metal, shred, classic metal or just about anything Dean probably builds something you love. One of their classics is the ML, made popular by a certain Texas shredder from a little band called Pantera. Dime put the ML back on the map, and the guitar that is now heavily associated with his memory is recognized as a top choice for metal. Some other Dean masterpieces of note can be found in the V Series, Z Series and Custom 450 Series. They also have an impressive lineup of seven and eight-string guitars. As if they needed something more to emphasize their metal cred, Dean took on thrash legend Dave Mustaine as an endorser a few years back, and they now build his signature V guitars. There you have it: The top guitar brands for metal, according to me. No doubt you saw many names on the list you expected, but maybe there were some surprises too. So, now it is your chance to be heard! Vote in the poll below and choose the top metal guitar brand, according to you. I’m interested in seeing how the votes turn out. If you see a brand you love that’s not mentioned here, speak up in the comment section below! Since these articles are intended to help other guitarists make decisions I may edit this post in the future so readers get an idea of what the public thinks. If you’re in the process of choosing a new guitar I hope you found this article helpful. If you’re just reading for fun I hope you found it entertaining, or at least not entirely frustrating! Which brand should get the top spot as the best for metal? How can we have this discussion without mentioning Kramer? @Dan. I never thought of Mark Tremonti as a top guitar player in metal. I guess I have a different benchmark here. I appreciate your input, though. And not one mention of PRS? Sorry but some of the top acts in metal right now are playing PRS guitars. Does Opeth or Between The Buried And Me ring a bell? Tremonti? I respect your decisions made in numbering this list of guitars for you are a very experienced player. I personally haven't played a lot of these brands. I am into brutal metal and i like to create most of my music with distortion. Heavy distortion. I personally prefer Ibanez with EMG 81 pickups. Good luck with your playing. Hi Frank. Thanks for adding your opinion to the discussion. Yes, my list is based on my personal preferences established over 30 years of playing guitar. Everyone will have a different point of view. This is the actual list of metal guitar brands, and is all over. 9 ESP is the brand that most metal players prefer worldwide nowadays.